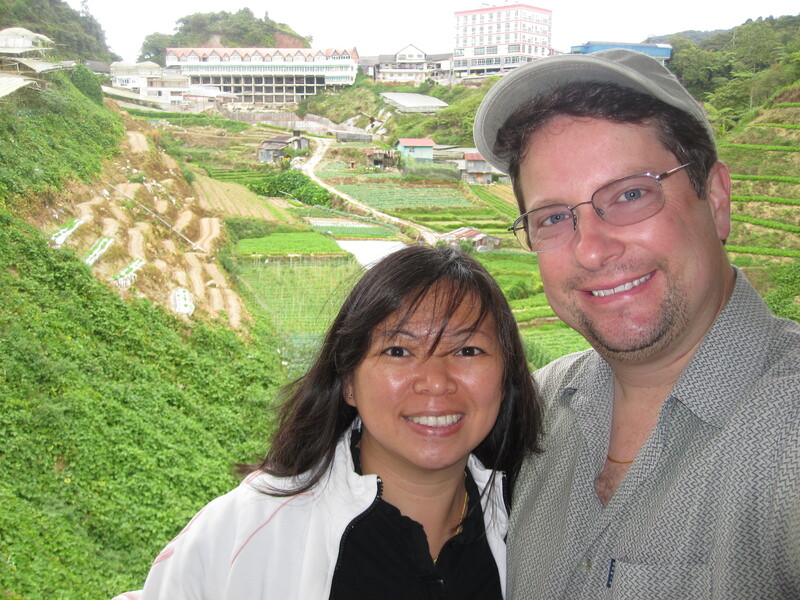 “Balik” in Malay means return, and “kampung” means village. These are some of the pictures we took when we went back to my hometown Muar, Malaysia this summer. 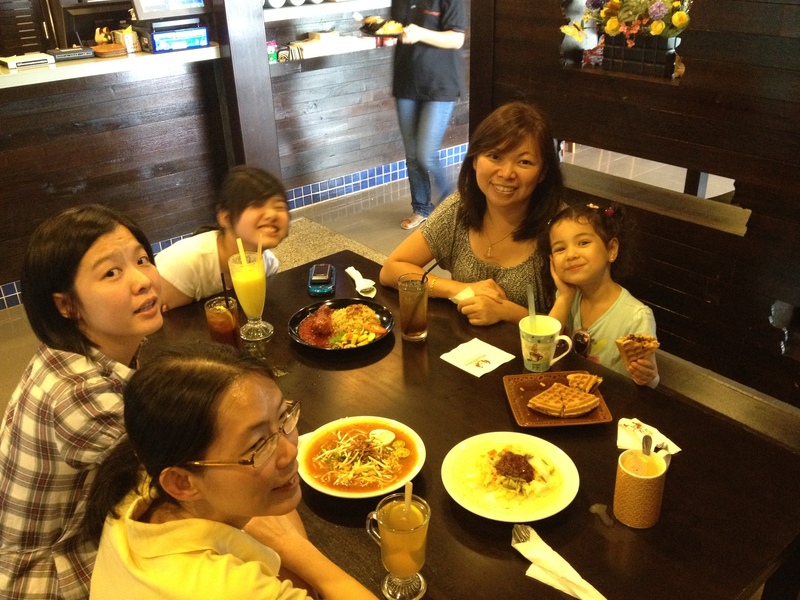 It was my BEST trip back to Malaysia ever! Enjoy the pictures! 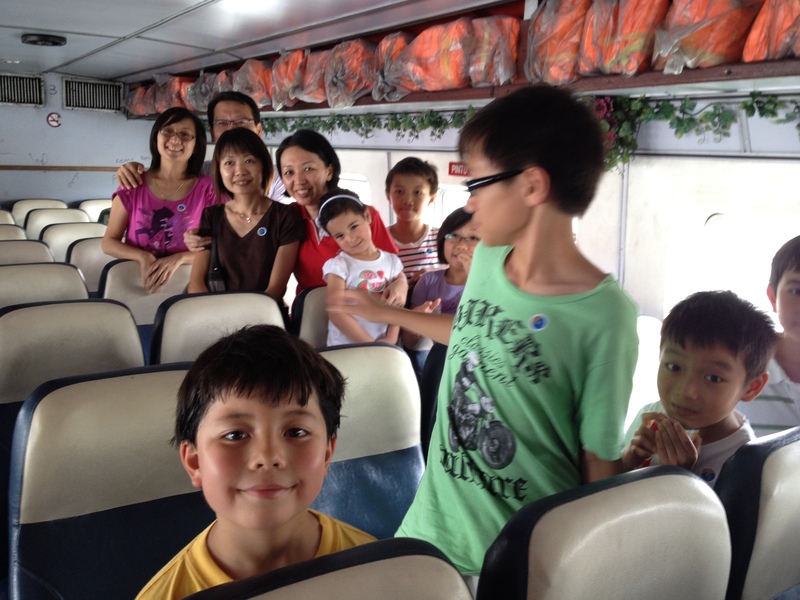 Taking ferry ride to Pangkor Island Beach Resort. 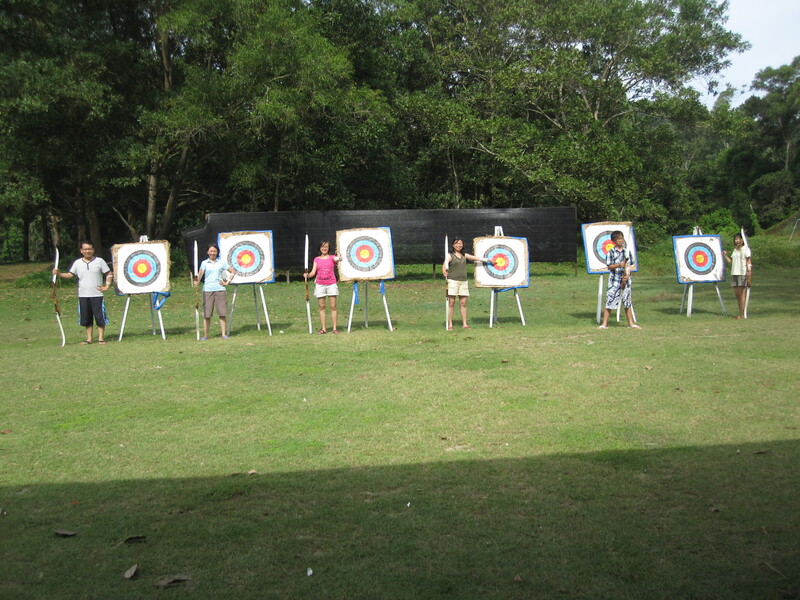 Pangkor Island Beach Resort– we had fun with the archery! 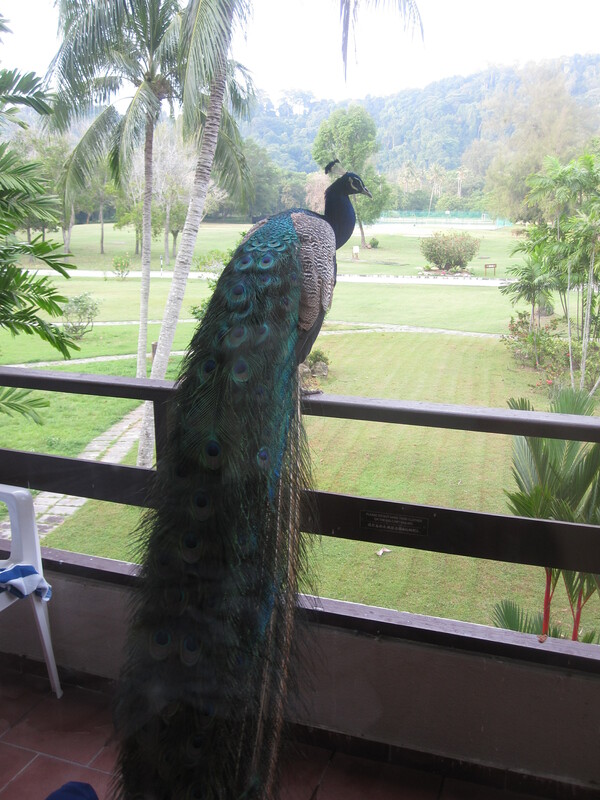 Pangkor Island Beach Resort– this peacock was sleeping on the balcony of my sister Jasmine’s room throughout the night. It was a very cool up close and personal experience with this beautiful bird! 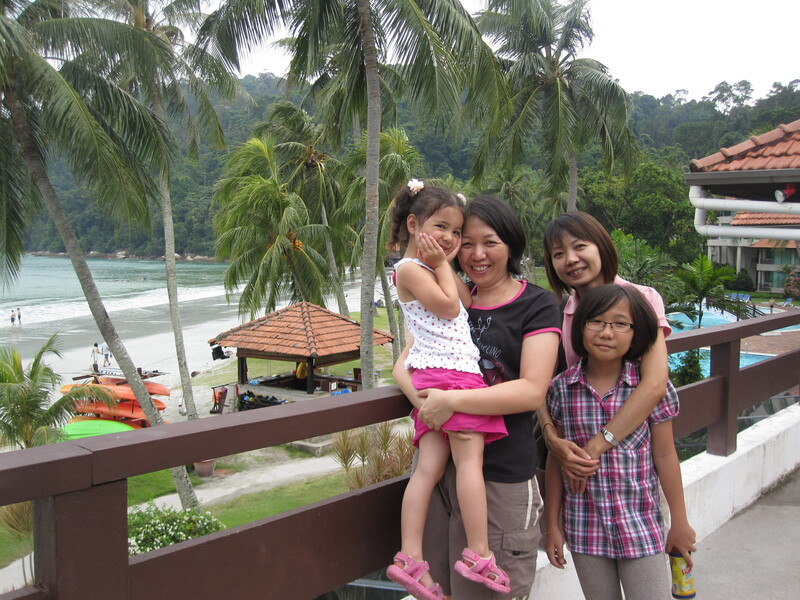 Pangkor Island Beach Resort– (left to right) Audrey, Belinda, Alice and Siffone (front). 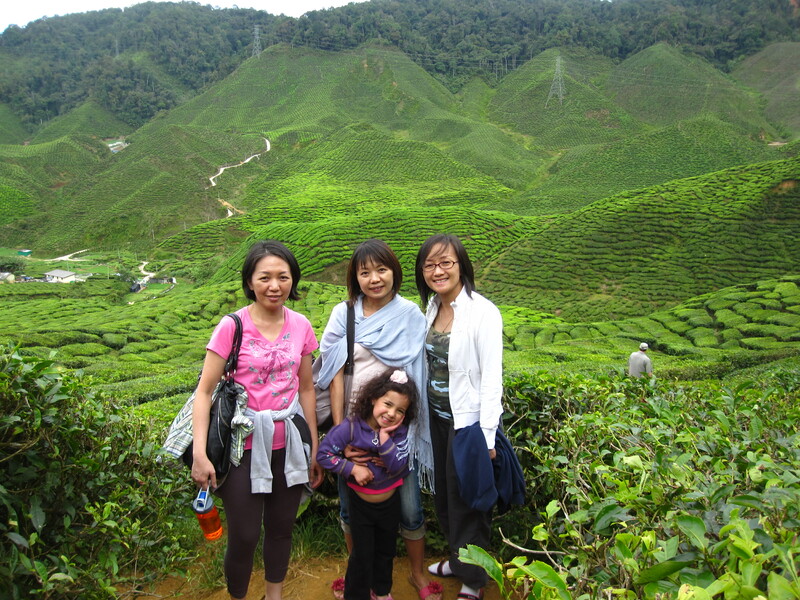 Cameron Highlands– visiting a tea plantation. I love the rolling hills of lush “green carpet”! 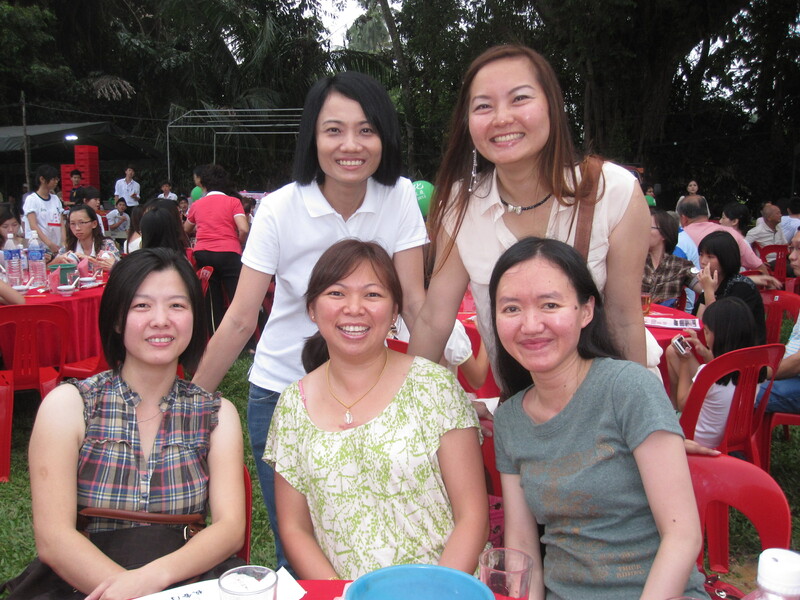 (left to right) Belinda, Alice, Jasmine and Audrey (front). 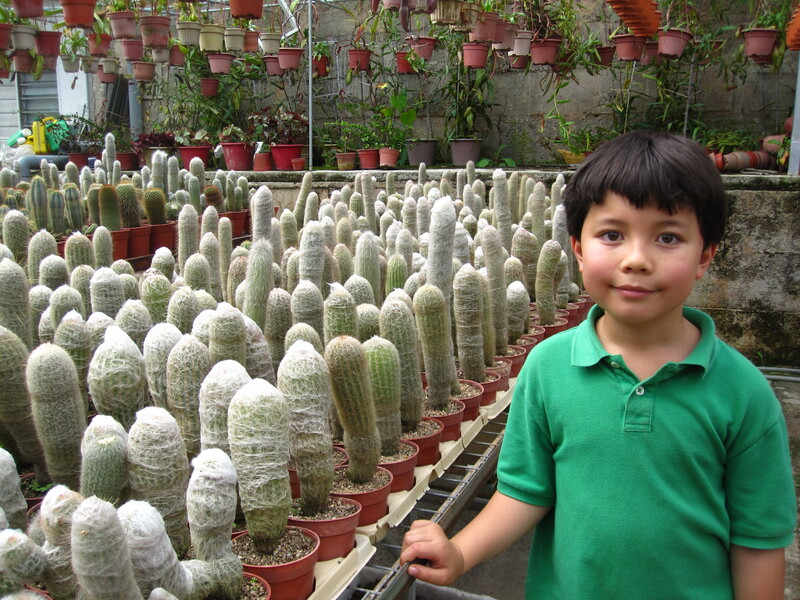 Cameron Highlands– Ethan at a cactus farm. 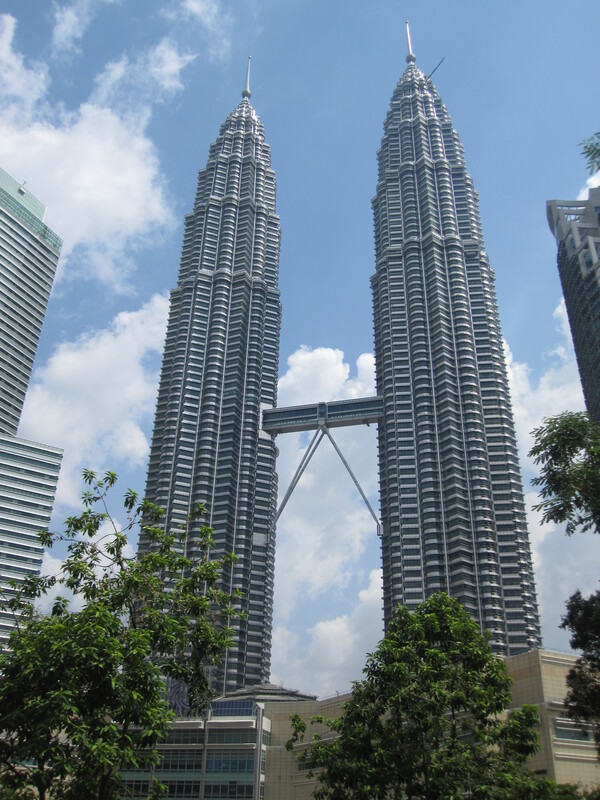 Kuala Lumpur– the famous Twin Tower! 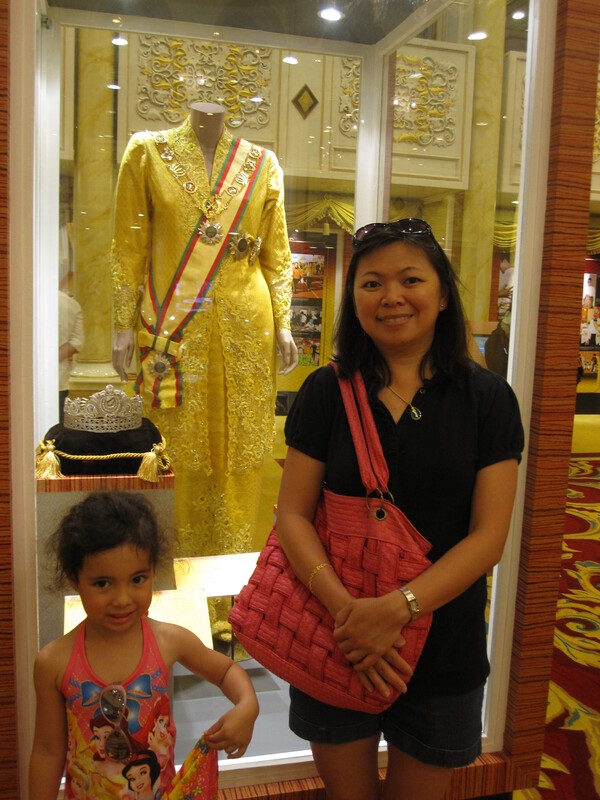 Kuala Lumpur– visiting “Our King” Exhibition at the Royal Palace. 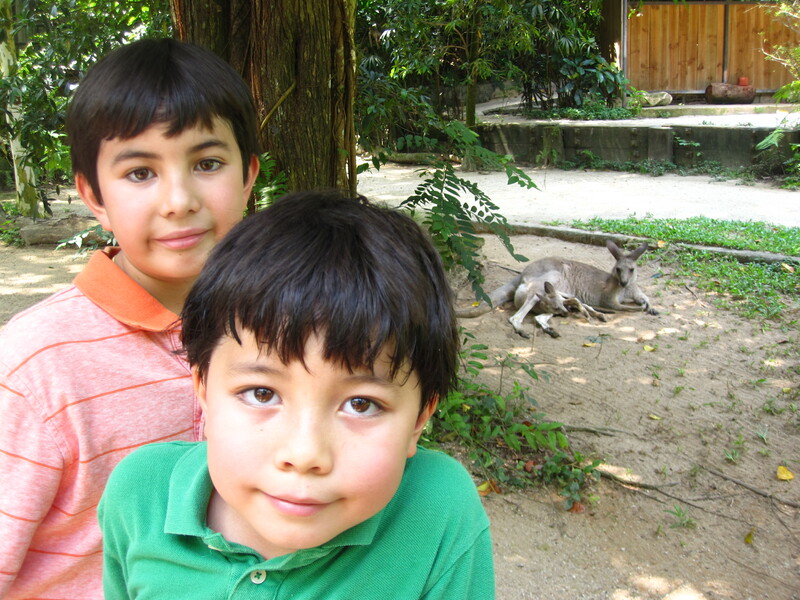 Alexander and Ethan at Singapore Zoo. 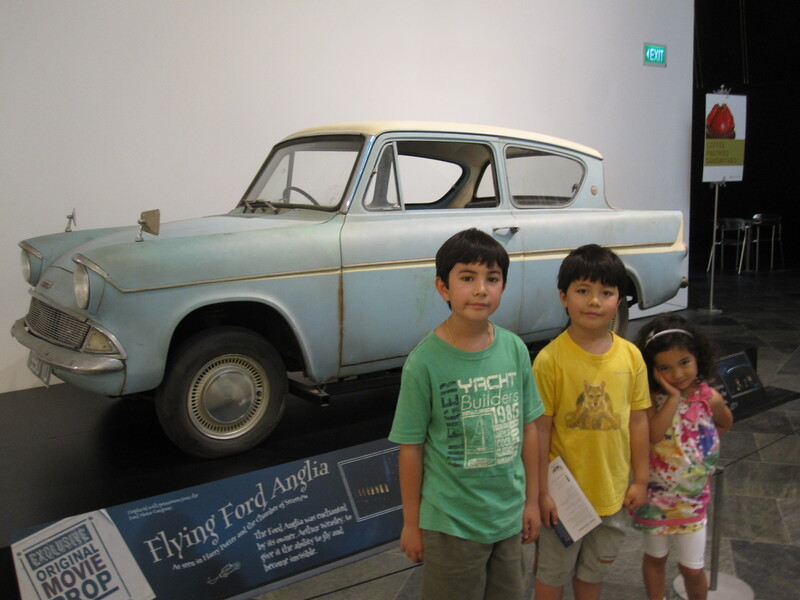 The kids at the Harry Potter the Exhibit, Art Science Museum, Singapore. This car was in the movie, and it was the only artifact that we can take picture using our cameras. 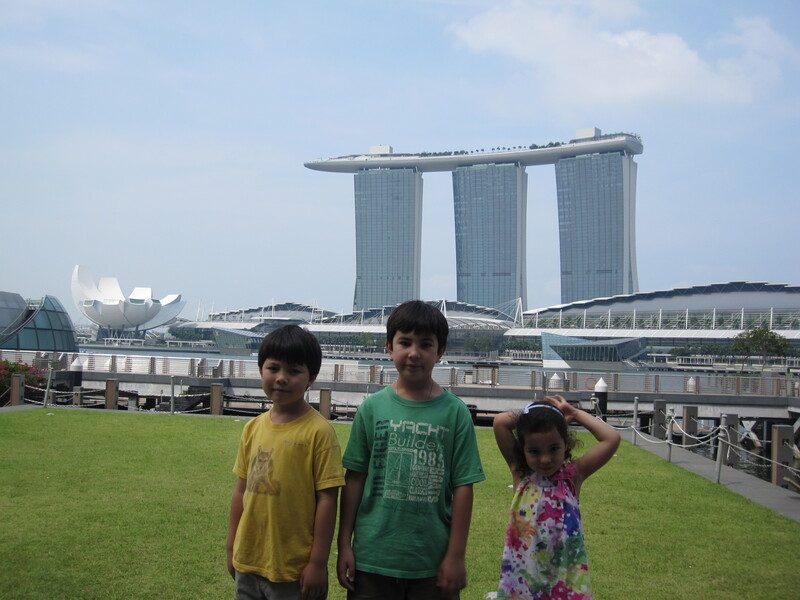 My lovely children with famous Singapore landmarks in the background: ArtScience Meseum on the left, and Marina Bay Sands Hotel and Casino in the back. 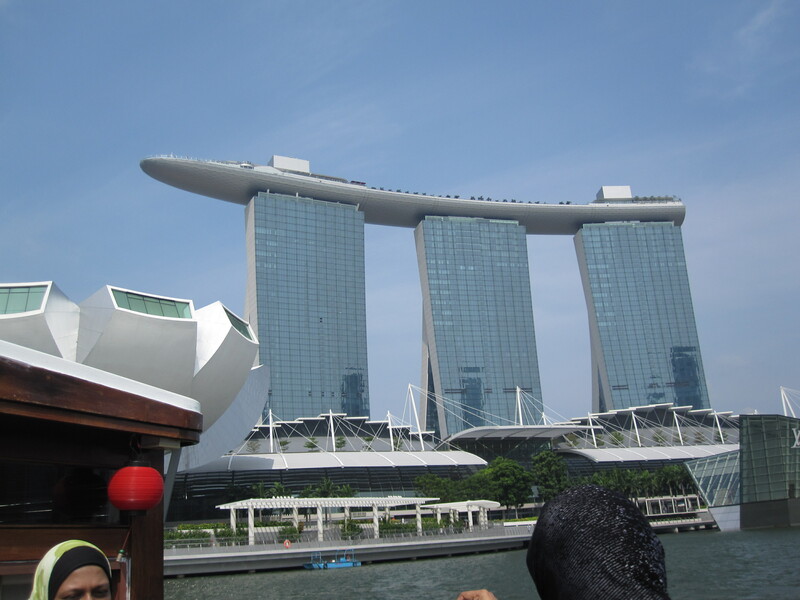 Marina Bay Sands Hotel and Casino: a closer look of this beautiful architecture from a river cruise. 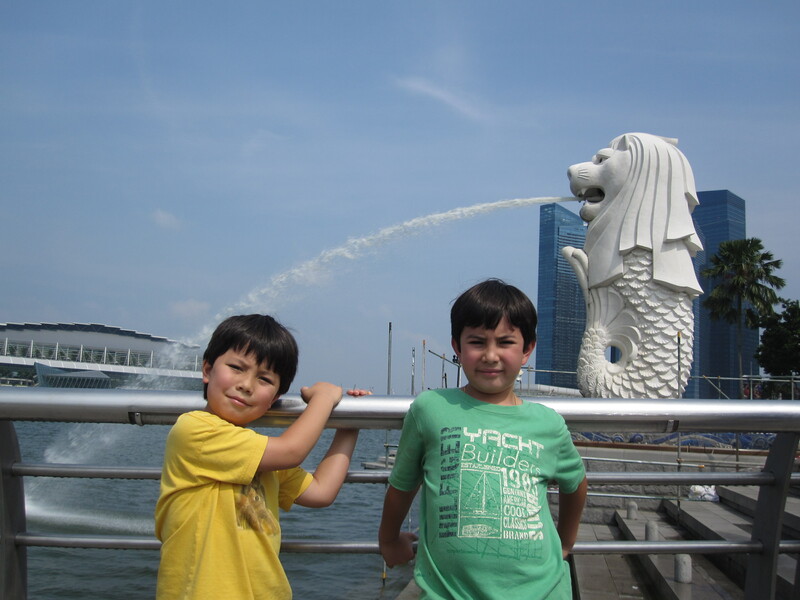 Ethan and Alexander, with Merlion in the back. Hungry? 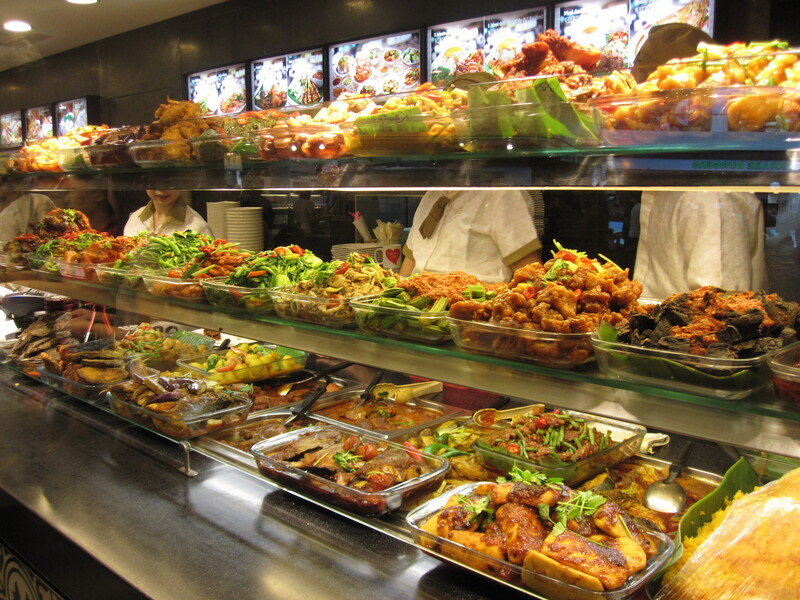 These are foods sold by one of the many vendors in a food court– a very typical scene at any food court in Malaysia and Singapore. 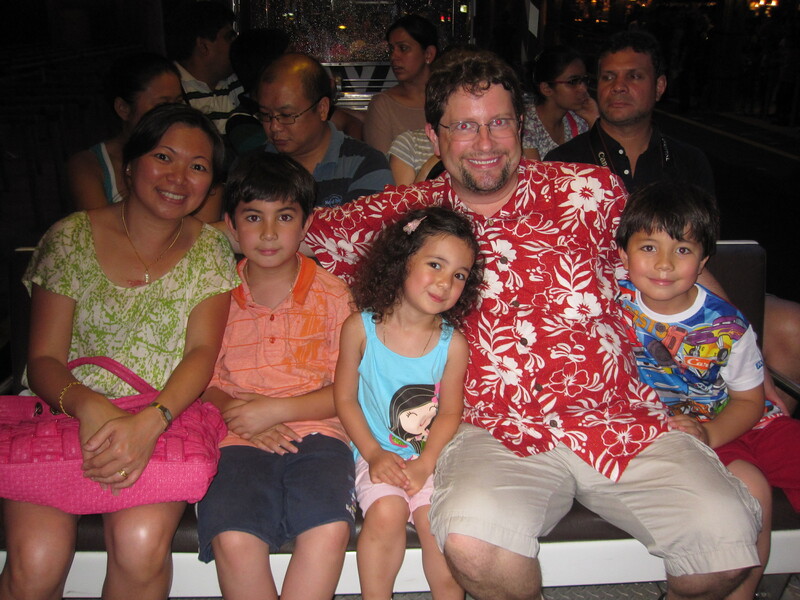 Singapore Night Safari: a family photo before the tram ride begins! Night Safari is a must see in Singapore! 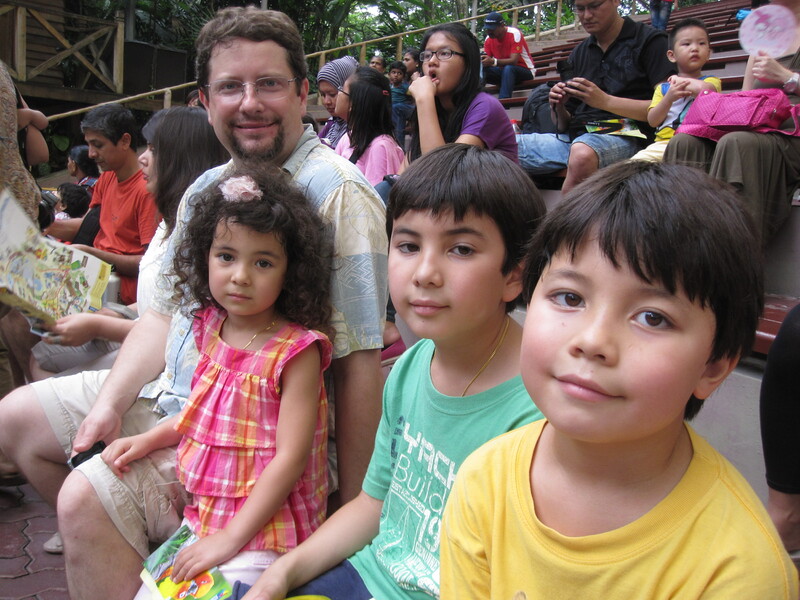 Singapore Jurong Bird Park: waiting for the Eagle Show to begin. The hot and humid weather wore the kids down. 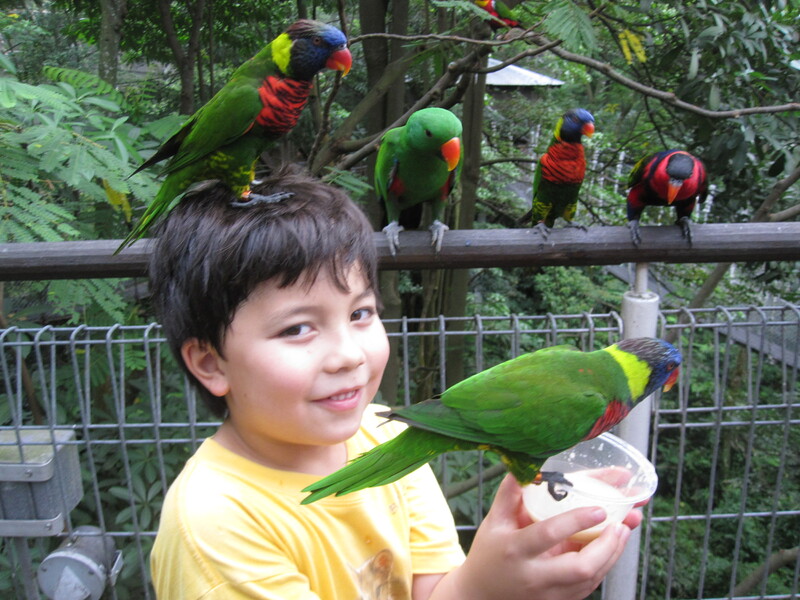 Singapore Jurong Bird Park: Ethan feeding the birds. These birds are NOT shy at all!! 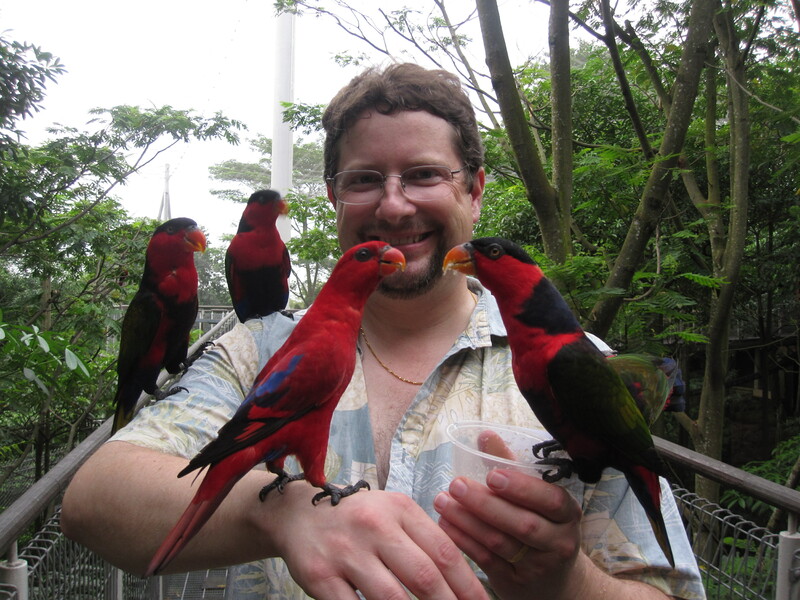 Singapore Jurong Bird Park: These birds are NOT shy at all, and can sometimes be intimating! We were the last visitors to this feeding section so we have LOTS of bird flying towards us and fighting for the very few food we fed them. 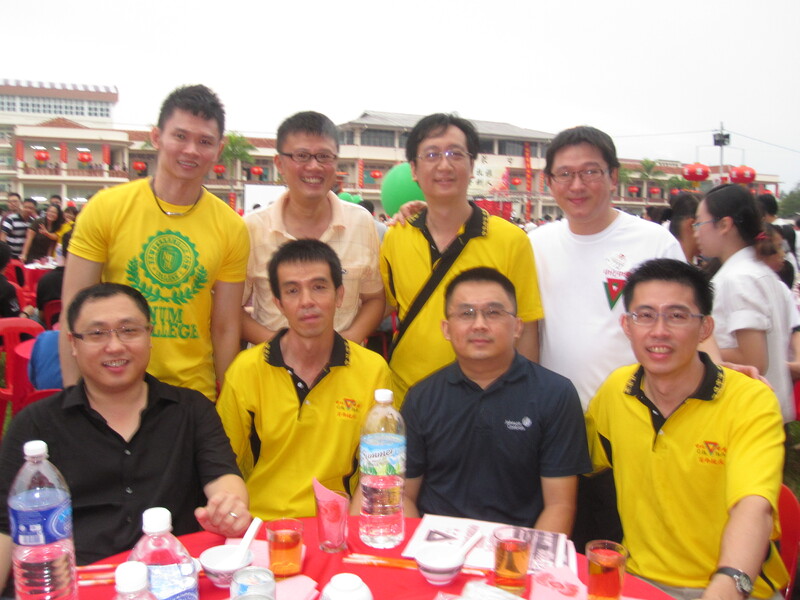 Back to Muar– high school alumni reunion fundraising dinner at my high school CHHS. There were over 1200 tables (10 people per table)! 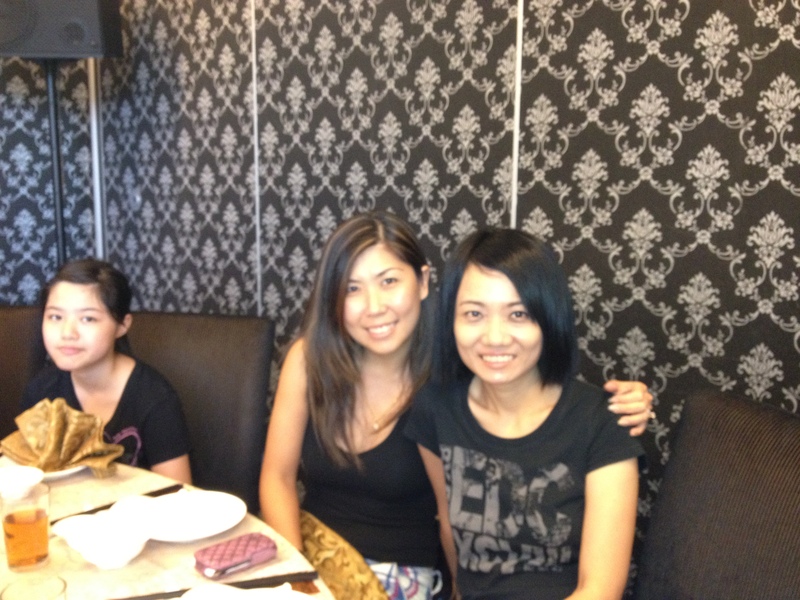 It was nice to catch up with my high school friends! What a FANTASTIC night!! Back to Muar: friends’ gathering! 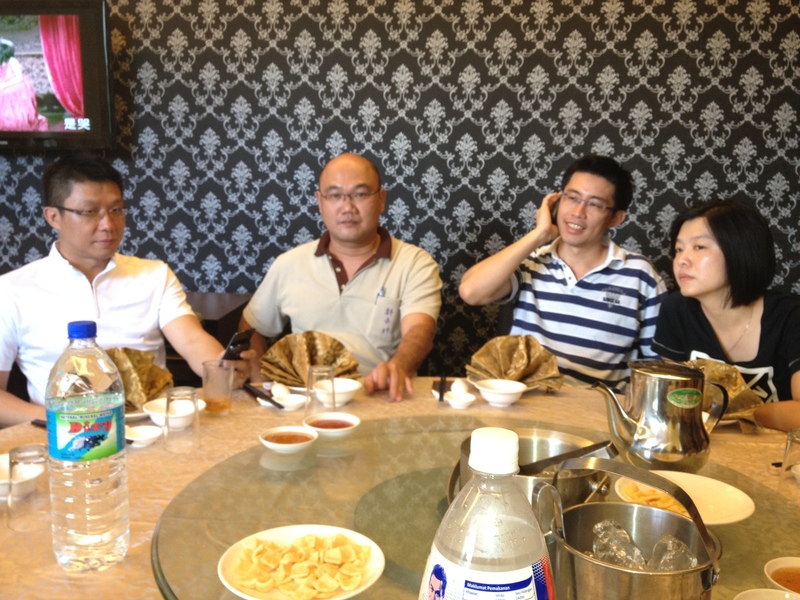 Back to Muar: more friends’ gathering and yummy foods at SKT. 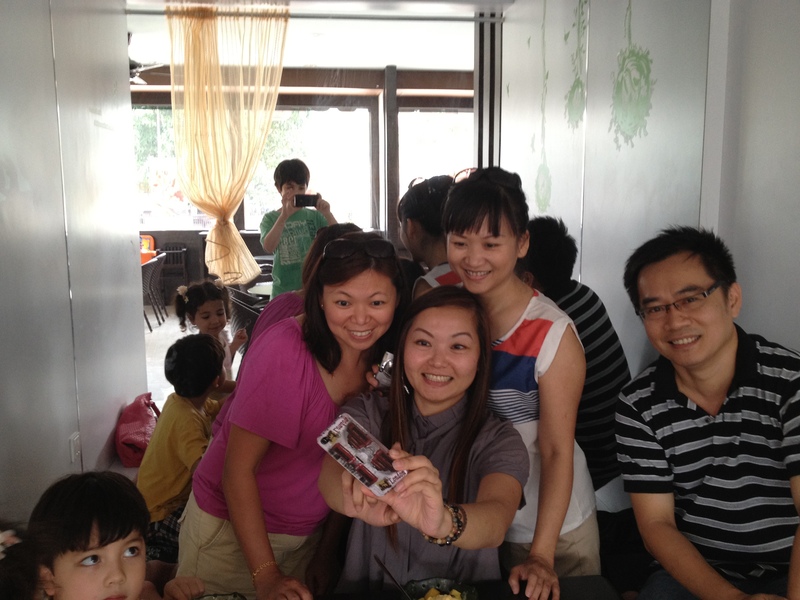 Back to Muar: friends’ gathering again, with ice cold treats! 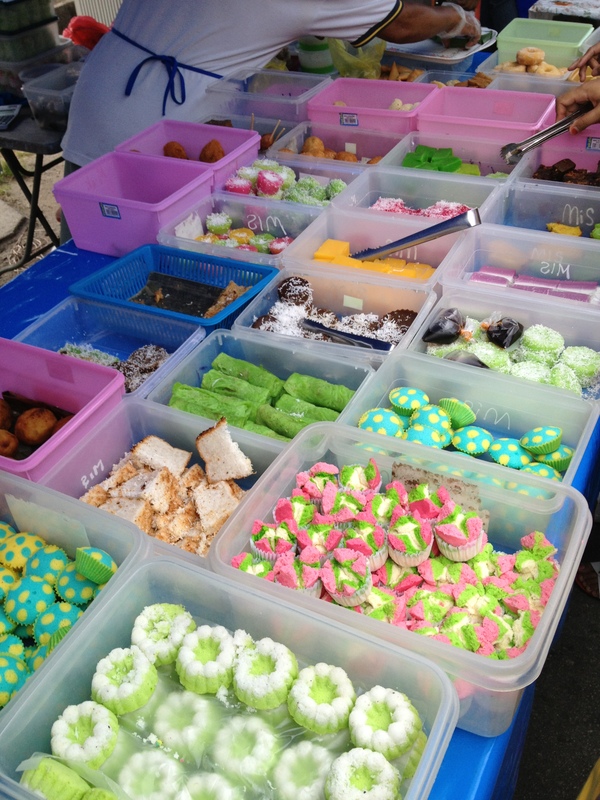 Back to Muar: Malay vendors selling cakes and snacks along the roadsides in the afternoon– a bustling scene only be found during puasa (Ramadan).